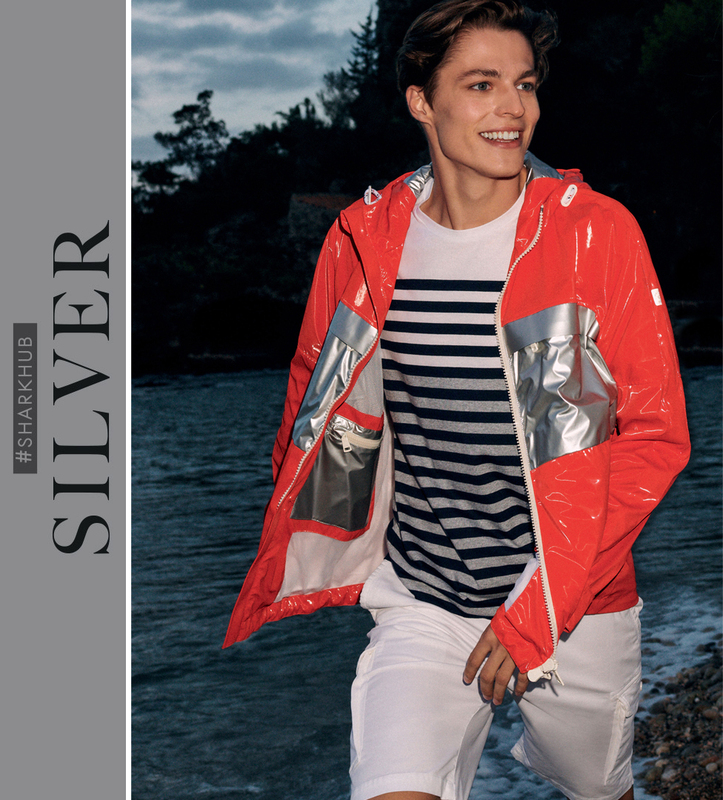 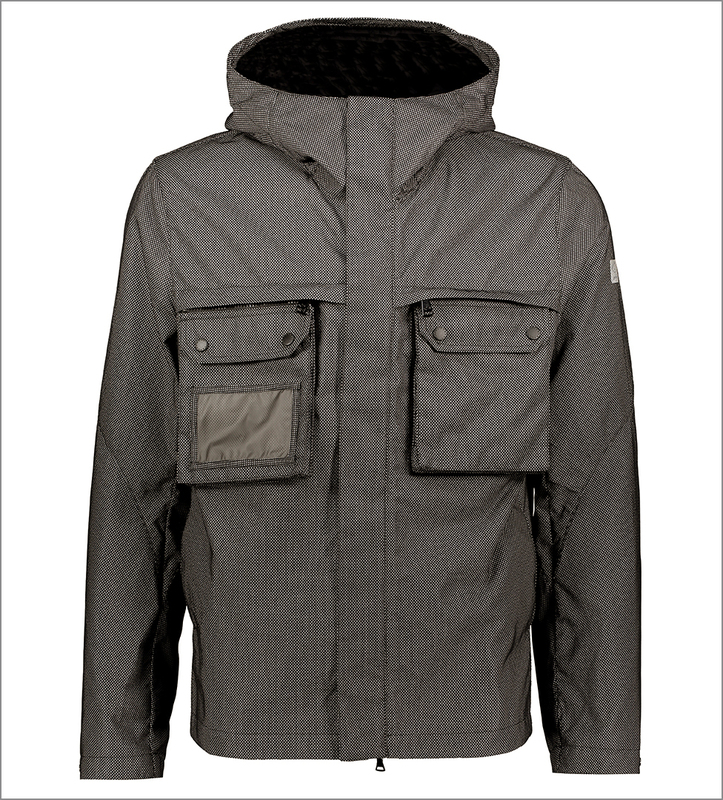 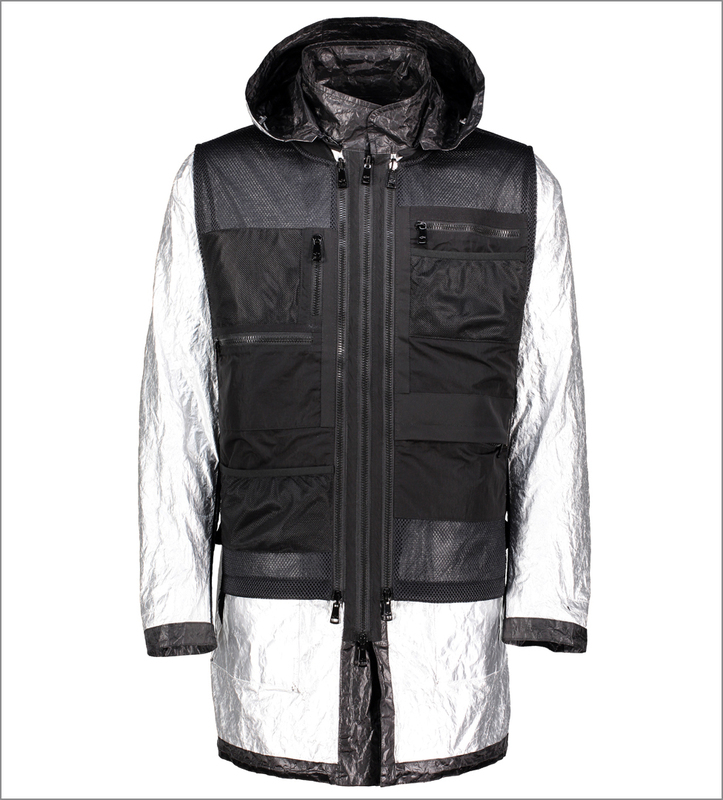 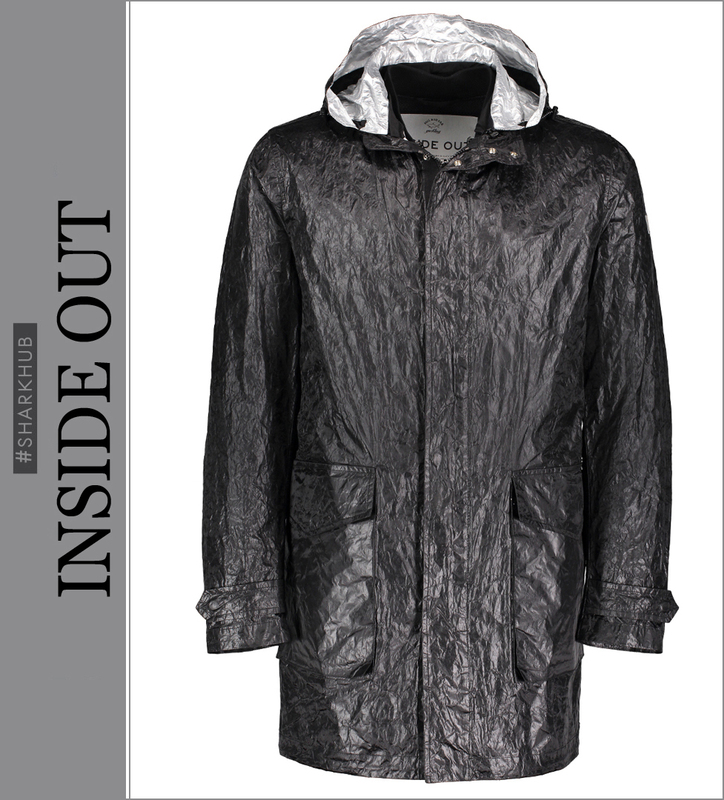 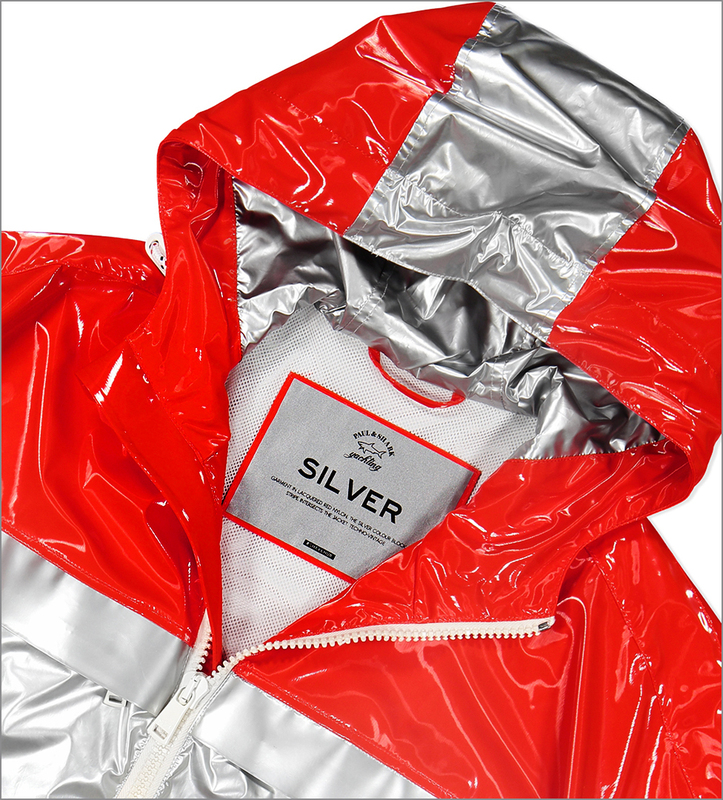 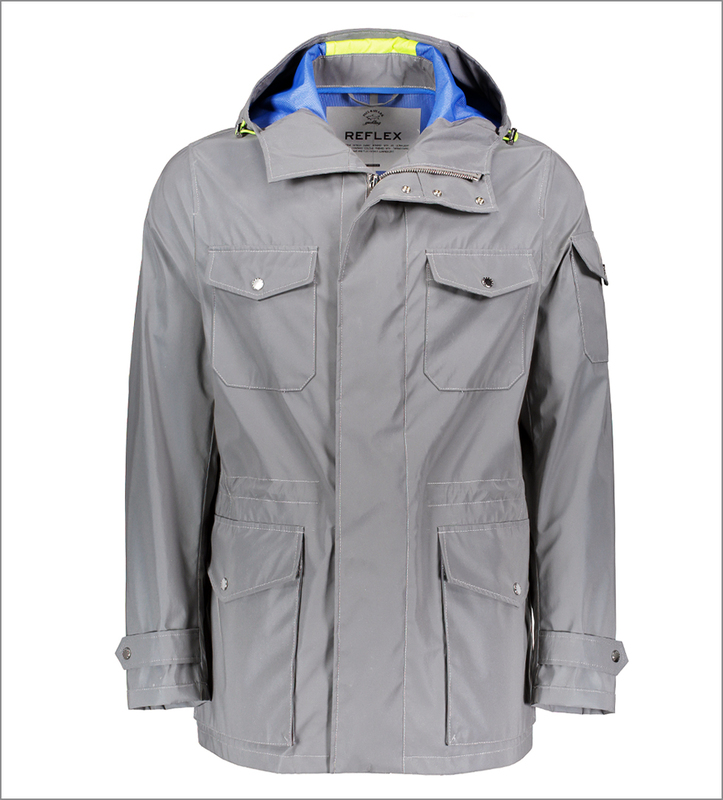 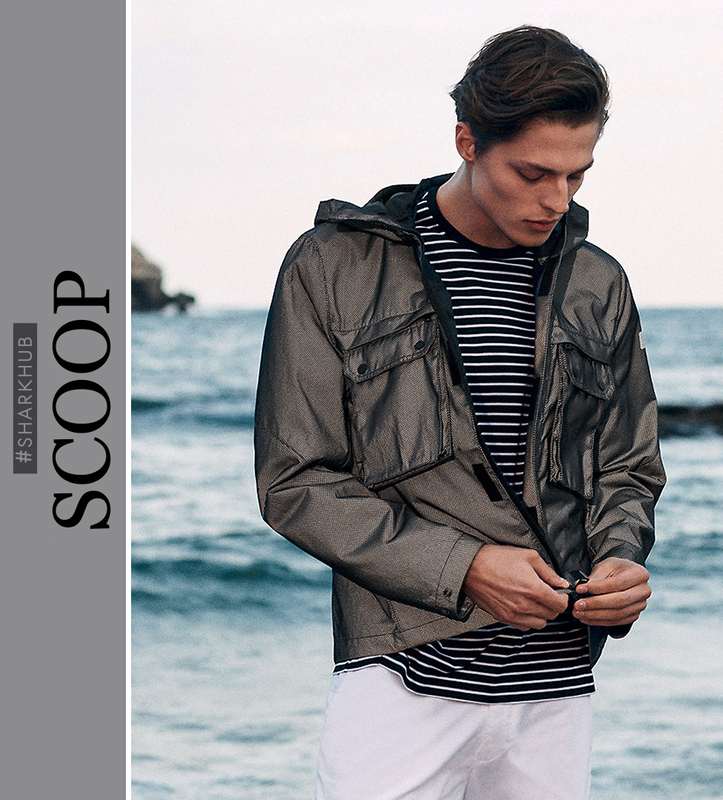 A reflective hi-tech fabric bonded with an ultra-light membrane in contrast colour. 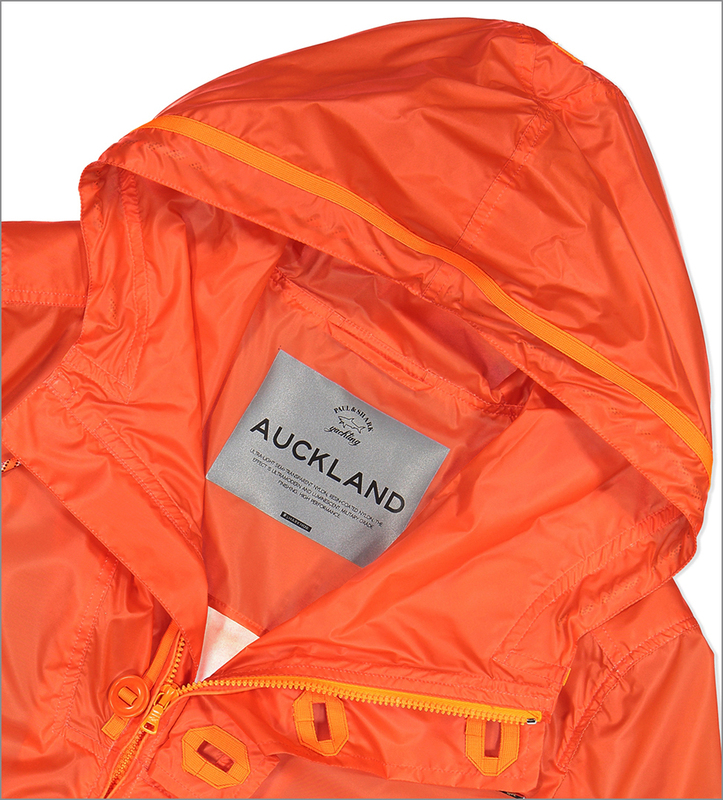 Finished with thermo-taped seams and fluo details. 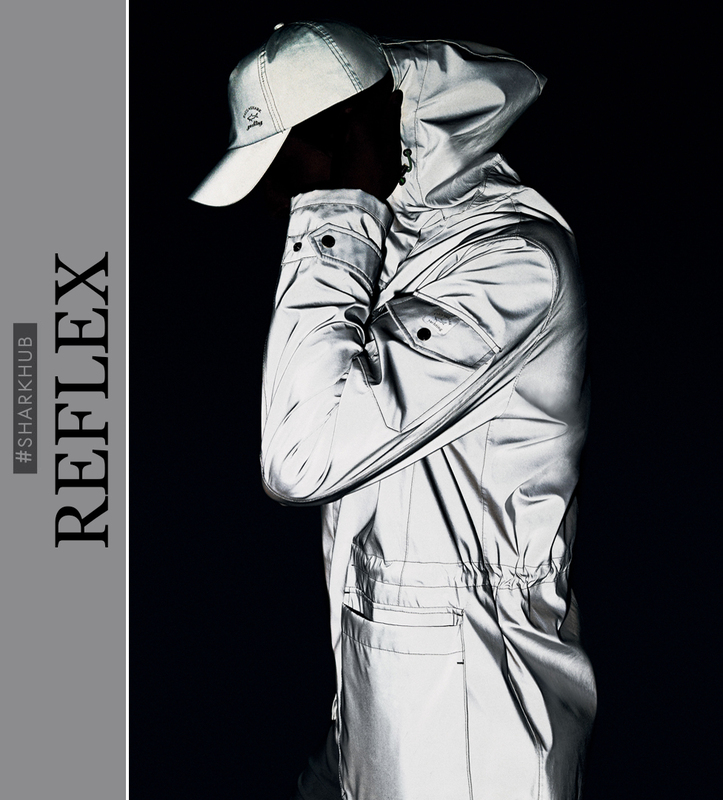 Luminescent.